In spring 2013, the Secretary of State for Wales at the time, David Jones, visited a young company at the Pembrokeshire Science and Technology Park. On a windswept campus at the western tip of the country, Jones heard Torquing Group’s enthusiastic managing director, Ivan Reedman, share a vision of Welsh-made autonomous robots for industry, commerce, and the military. “Torquing Group’s work is an excellent example of a successful small business with their sights firmly set on growth and expansion,” enthused Jones later. The key to Torquing’s growth, Reedman believed, would be a cutting-edge consumer quadcopter developed from his experience working on a surveillance drone for a local defence contractor. Eighteen months later, flush with an investment from another company at the technology park, Torquing Group launched a campaign on the crowdfunding website Kickstarter for a palm-sized drone called the Zano. The Zano would dispense with fiddly on-screen controls in favour of mimicking gestures from a Wi-Fi linked smartphone, automatically tracking and following its operator, avoiding obstacles, and even shooting “selfie” photos and videos — for up to 15 minutes at a time. Torquing’s promotional video showed some impressive footage of the drone in action. Drinkers at a Welsh pub smiled as a Zano flew up and hovered over them, displaying a countdown on built-in LEDs before snapping a photo that they immediately examined on a smartphone. Zano was then shown filming rock-solid footage of a mountain biker, following a motocross rider’s gestures, and automatically returning to land at his feet. Kickstarter itself selected Zano as a Staff Pick, which gave it prominently placed promotion on the site (the company now calls these Projects We Love). The internet went wild. Torquing met its initial funding target in just 10 days, then blew right past it. As pledges smashed all Reedman’s “stretch goals”, they unlocked additional features: built-in storage, high-def (1080p) video recording, thermal imaging cameras, wireless charging, the ability to fly upside down, and more. Reedman touted extras like facial recognition and 360-degree panoramas soon — and all for a pledge as small as £139 (about $210). There were drones costing 10 times as much that couldn’t match Zano’s specs. The campaign promised delivery of all reward drones in an equally staggeringly short production window — in June 2015, just six months away. At the International Consumer Electronics Show (CES) in Las Vegas a few weeks later, Engadget shortlisted Zano for its official Best of CES Award, one of just 49 nominees among an estimated 20,000 new products at the world’s biggest trade show. “Kickstarter made the prototype happen, and now it’s a very real proposition,” gushed Engadget in early January. By the time the Kickstarter campaign ended on 8 January 2015, over 12,000 backers from around the world had pledged an astonishing £2.3m (nearly $3.5m), 20 times Reedman’s original goal. It was, and still is, Kickstarter’s most funded European campaign. As 2015 rolled on, a flurry of updates from Zano — they would ultimately post around one a week — delivered encouraging news. The final chipsets for Zano arrived in Wales in mid-February, the firm said; a tiltable camera was developed; and Reedman’s engineers were building a high-performance computer to process hundreds of Zano videos online. Videos showed Torquing’s labs and assembly lines, one with staff using the Zano’s infrared obstacle avoidance system to play “drone tennis”. To accommodate demand from enthusiasts who had missed the Kickstarter campaign, Torquing set up a website to take pre-orders, eventually racking up over 3,000 additional sales. But cracks were beginning to show. Some key plastic parts were delayed, there were never-ending compliance and calibration tests to complete, and something was up with the propellers that arrived from China, according to campaign updates. Once-eager backers started to get restive, demanding to know exactly when their autonomous drones were likely to arrive. Zano drones finally began to trickle out of Pembrokeshire in early September — no more than a handful at first, building slowly to total over 600 by the end of the month. The internet went wild again, although for very different reasons than before: Kickstarter backers were infuriated when they discovered that pre-order customers were receiving drones before loyal crowdfunders. Pre-order customers were infuriated for a different reason: Their Zanos were barely operational. They reported that drones would repeatedly “bunny hop”’ a few centimetres in the air before landing again, or veer off wildly to crash into walls. Video quality was dreadful, and there was no sign of even basic obstacle avoidance or gesture control, let alone fully autonomous flight. In mid-October 2015, already months late, Torquing again pushed back delivery for the bulk of the Kickstarter rewards to as far off as February 2016. By the end of November, it was clear that Zano was finished. But what had actually happened? Was the Zano project a scam from the word go, a money-making scheme to defraud backers? Were the Torquing leadership team inept, negligent, or incompetent, or some combination of all three? Or perhaps they were the victims, sunk by unscrupulous suppliers, malicious staff, or hackers? Even more importantly, perhaps: Does the failure of a project this prominent and this well-funded call into question the future of crowdfunding itself? Can we ever trust the crowd again? It was worrying about this final question, I guess, that prompted Kickstarter to approach me in early December to investigate Zano, Torquing, and (like it or not) Kickstarter itself. In the absence of any useful information from Zano’s creators, Kickstarter essentially asked me to research and write the story I would like to read about the collapse of Torquing. The firm wanted me to pay special attention to where the money had gone and what future project creators might learn from this collapse. Over the last five weeks, I have followed the Kickstarter campaign from well before its inception to the bitter end, read reams of financial and legal documents, talked to as many people involved in the project as I could, and travelled to South Wales to see Torquing’s offices up close — as well as one of the only Zanos that ever made it into the hands of a Kickstarter backer. What follows is as complete a picture of Zano and the Torquing Group as I could piece together in this short time, from both public and private sources. Some of the material here is not original. I am especially indebted to the many Kickstarter backers who contacted me, and to journalists who covered the Zano story while it was unfolding. Rory Cellan-Jones of the BBC and Cyrus Farivar of Ars Technica, in particular, have proven very helpful. I have heard about enthusiasm, dedication and hard work, and endless late nights attempting to develop cutting-edge technologies and solve thorny problems. There were tales of teamwork, camaraderie, and community. But I found evidence of overconfidence, exaggeration, and obfuscation as well. Zano is also a story of arguments, personal threats, legal disputes and criminal investigations. A sum that totals £3.5m does not just disappear silently into thin air, nor should it. Ivan Reedman was born in South Australia in 1975 to British parents. He says that he was programming computers at age 8, dabbling in assembly language at 12, and writing custom software for local businesses by the time he was 13. The next year, he registered his first company under the name Torquing — a play on words that his father came up with. After studying commercial law at college, he grew Torquing into a small IT consultancy fixing computers, networks, and servers, while he continued to work on his own operating system. Reedman has no formal technical qualifications, which isn’t out of the ordinary in startup circles. Reedman is calm, soft-spoken, and articulate. His passion for the Zano project is evident and he still genuinely believes that his drone is only days or weeks away from working as promised. Reedman answers most questions during our chat, and in many subsequent emails, without hesitation, although he does shy away from some queries focusing on financial, management, and legal matters. In 2010, the couple moved to Dietrich’s native Pembrokeshire, with TTL taking advantage of a small capital grant from the Welsh government to secure office space at the Bridge Innovation Centre (BIC) in the Pembrokeshire Science and Technology Park in the port town of Pembroke Dock. Reedman then set about looking for business opportunities, including a half-hearted attempt to launch a golf-tour operation. His breakthrough came in 2011 when a contact in the Welsh government put Reedman in touch with BCB International, a manufacturer of marine, law enforcement, and military equipment based in Cardiff. Barry Davies served as a sergeant major in the SAS, Britain’s special forces unit, and has written dozens of survival books. For the last few years, he has also been Robotics Project Manager at BCB. “If you mention BCB in the wrong way, I’ll come and kill you,” he jokes. At least, I’m pretty sure he’s joking. “In 2011, we were looking to expand our current industry, and drones seemed to be way to go forward,” says Davies. “When we were introduced to Ivan by the Welsh government, I asked him to make an autopilot module. “It was an easy opportunity to say, yeah, I haven’t done this before but I’ll certainly get into it,” Reedman remembers. With money coming in from BCB, Reedman took on a couple of employees and set about diversifying. Anna’s brother, Thomas, joined the company as a designer around this time, invested £60,000, and was eventually made a director of TGL in 2015. Local news stories in early 2012 said that Torquing companies were working on everything from accounting software and monitoring technology for utilities to assembly line, mine detection, and surveillance robots, as well as robotics kits for schools. I could not find, nor could Reedman provide, evidence of any of these products reaching the market, although he insists his work for the Ministry of Defence went “exceptionally well”. The same news stories had Reedman and Dietrich estimating their gross revenue at £300,000 to £400,000 in 2012. If they were doing that much business, they were not making much money. Documents filed at Companies House, the UK government agency that registers companies, show Torquing companies with profit and loss accounts of only a few tens of thousands of pounds that year. By late 2013, BCB was starting to lose patience with Reedman, Davies says. Torquing’s prototype AV Sparrow was proving extremely temperamental. Reedman says that Zano began with a larger, proof-of-concept drone called Bluepig: “It looked like a pig (it was ugly) and…blue…was the paint we had left over in the workshop when we built it.” Bluepig had a web-based ground control system that Reedman says could run on any modern smartphone, tablet or computer. A version of this was used to control early Zanos from smartphones before the apps were ready. Zano’s Kickstarter campaign page claims that Reedman produced the first development boards for Zano in October 2013, then built a prototype miniature printed circuit board (PCB) by March the next year. But taking it further would require cash that Reedman lacked. Luckily, Reedman had been busy networking with other companies at Pembroke Dock. Phil Busby is a local businessman who, in partnership with his father — confusingly, also named Phil Busby — has fingers in several pies. One of their companies, Mackenzie Corporation, has an interest in a scaffolding business. Another, Intelligent Trucking Solutions, was developing an automatic landing leg system for commercial trailers. The Velocity Drive aims to halve the time taken to hitch and unhitch trailers from lorries, and reduce driver injuries to boot. Torquing Group designed and built an electronic control interface for the system, apparently successfully, as the Velocity Drive launched on the Australian market last summer. While they working on the Velocity Drive, Reedman pitched his idea for a high-tech, palm-sized drone to the Busbys. They bit. Philip Andrew Busby and Philip Victor Busby jointly invested £75,000 and were appointed as directors of Torquing Group Limited on 21 March 2014, then as directors of Torquing Robotics and Torquing Technology on 31 July. Also investing £75,000 was another Australian, Reece Crowther, who joined the board of TGL on 30 January 2015. Neither Crowther nor the Busbys responded to requests for interviews for this report. Crowther, a one-time professional goalkeeper with English Premier League club Crystal Palace, is thought by some Pembrokeshire County Council employees to have returned to Australia since the collapse of Torquing Group, but I was unable to confirm this. With money in the bank, it was all systems go for Zano. Around May, Reedman spent £500 on an aging supercomputer from HPC Wales, the country’s national supercomputing service provider, which he intended to host a forum and process customers’ videos. Development boards for the drone itself were complete by June. Torquing ordered 10 prototype Zanos for £25,000, and they arrived at Pembroke Dock in late September. These would be used to refine flight, avoidance, and video and photo capturing systems, but were obviously far too expensive as production units. The first step was to find a mass manufacturer. Reedman was keen to keep production as local as possible. He settled on Camtronics Vale, a contract electronics manufacturer with a 9,000 square metre facility in nearby Tredegar. “They were really, really excited about it, and had been right from day one. They invested heavily to support the project with special machines,” says Reedman. Camtronics declined my request for an interview. With production in hand, the company now had to create demand. A booth at the CES show would cost a lot (over £50,000 by Reedman’s estimation), but would give Zano the chance to shine on a world stage. Then someone at Torquing, Reedman can’t remember who, suggested crowdfunding. “They said Kickstarter was a great way to create a viral marketing campaign, to raise awareness of what we were trying to do,” he says. While Reedman continued to develop the Zano, he says others in the company, led by Crowther, now head of marketing, put together a Kickstarter webpage and promotional video. (Crowther appears prominently in the video.) Zano’s crowdfunding campaign officially launched on 24 November 2014, the jewel in the crown of Pembrokeshire Innovation Week. The Kickstarter video is a sore point with Zano backers, many of whom feel it gave an inaccurate impression of the drone’s capabilities and readiness. Doug Conran and Craig Holloway are two of only four Kickstarter backers who ultimately received Zanos in the autumn of 2015. (About 600 pre-order customers got theirs; more on this later.) As such, they are well placed to compare the performance of their Zanos with that seen in the video six months earlier. “The video was a big part of my choice to support the project,” Holloway tells me over a pint in a quiet Swansea pub. The ex-Royal Air Force technician had planned to set up the drone to shoot footage of his wife as she rode her horse, like the mountain bike and dirt bike segments seen in the video. But when he first turned his Zano on, he got quite a surprise. “I tried it in a corridor and it didn’t work. It would just fly up a few centimetres and then land again. That’s all it ever did with the obstacle avoidance system on,” says Holloway. However, there are features shown working in the video that Reedman confirmed to me were not fully operational at the time it was shot. “It was very early stage prototype…and there were definitely things that didn’t work as planned. Initial tests [of autonomous hold position] were done in October 2014 as I recall. I then got around to finishing it off in June/July 2015,” he says. Reedman denies rumours among backers and other companies at the Science Park that Torquing used computer-generated imagery (CGI), other drones, or even selfie sticks to shoot the aerial videos. 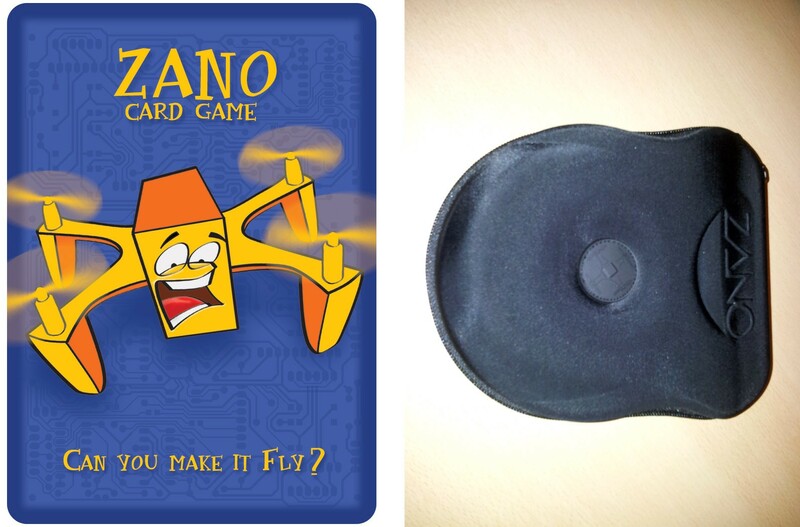 “To the best of my knowledge, wherever you saw a Zano flying, that was a Zano flying. There was absolutely no CGI in those videos,” he says. At least one person appearing in the video was not a Torquing employee. David Thomas is the manager of the Bridge Innovation Centre, essentially Torquing’s landlord at the Technology Park. His employer, Pembrokeshire County Council, would not make him available for interview but did offer to forward my questions and his responses. Thomas says that he was out for a walk with his wife when he was asked to pose for the scene shot in a pub garden. He says that there were a number of takes and that on each take, the Zano launched directly from his hand. However, he “doesn’t know whether the selfie was taken by the drone or by another camera” and “acknowledges that what was in the video may perhaps be misleading.” Interestingly, Thomas’s youngest son, Sam, was hired by Reedman to edit the Kickstarter video and film subsequent video updates. I haven’t been able to obtain the unedited footage, as none of the parties that would have access, if the raw material still exists, responded to contact attempts. I could not track down Sam Thomas. But the video has red flags throughout. The shots that are clearly made by a videographer and include a Zano in frame have the same characteristics as video that ostensibly was shot, or is labelled as shot, from the drone. The cliff-diving scene seems to use a lens and tracking the device lacks. The Zano is never shown in a continuous shot from take-off through flight. In one case, footage appears to be reversed (a landing is used as a take-off); in another, a shot of the Zano is likely slowed down. In the motocross scene, effects matting is visible in the gloved hand manipulating the smartphone, which has a screen that appears too bright in the natural lighting. Together, these would suggest that the screen’s display was replaced in post-production. “Product simulations are prohibited. Projects cannot simulate events to demonstrate what a product might do in the future. Products can only be shown performing actions that they’re able to perform in their current state of development. The video did the trick, then, and as Torquing’s Kickstarter campaign roared into life, the mood at Torquing was celebratory. On 1 December, the creators awarded themselves an early Christmas present: Increasing the annual remuneration of directors in Torquing Group to £50,000 each. After Christmas, Crowther and a couple of Torquing employees headed to the US for the CES trade show. Coincidentally, the booth opposite theirs in the Las Vegas Convention Center housed another crowdfunded British drone company, Extreme Fliers. 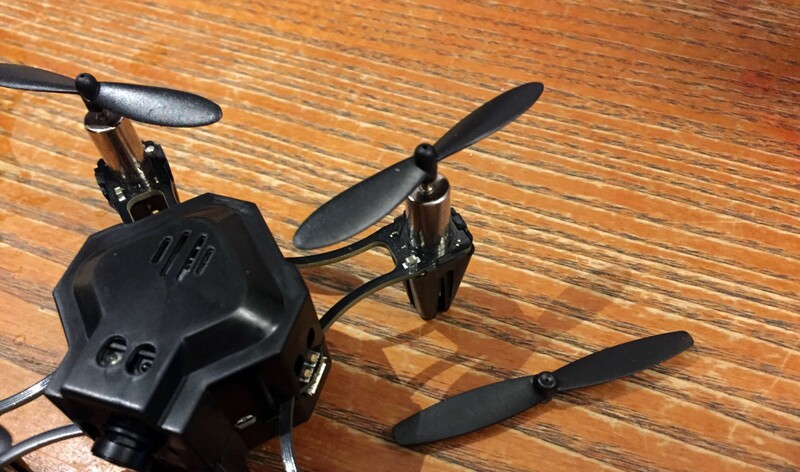 In August 2015, just as Torquing was struggling with the difficulties of volume production, an Indiegogo campaign for the Micro Drone 3.0 would net Extreme Fliers nearly $3.2m from over 32,000 backers. The Micro Drone 3.0 is a palm-sized quadcopter that offers 720p streaming video, social media integration, and inverted flying. Back in January 2015 at CES, though, Extreme Fliers had only just finished basic engineering and 3D modelling. Vernon Kerswell, its London-based managing director, was keen to see his rival Zano up close. Kerswell walked over to Zano’s stand to introduce himself and dig for more technical details. The Torquing team closed ranks. “They said, we know who you are and we’re not explaining or showing you anything,” he says. Show goers were offered multiple explanations why all the Zanos at Torquing’s booth were grounded. Kerswell was told by Crowther that there was too much Wi-Fi interference in the crowded hall. “This is ridiculous because my drone was tethered with my IP address [over Wi-Fi] absolutely fine,” he notes. Other attendees reported being told that Zano wasn’t flying because Crowther’s laptop had been stolen, because Torquing was worried about industrial espionage, or even because its technology was military specification and might get confiscated by the US authorities. Instead, Crowther’s presentational skills paid off. Without seeing a Zano so much as spin its propellers, Engadget chose it as one of the two best robots or drones at the entire CES. Editor in Chief Michael Gorman defended Engadget’s choice to me by noting that its criteria are innovation, design, market appeal, and functionality, “meaning what are the device’s capabilities, not that we have seen it performing all these functions in person.” That subtle distinction was lost on many Zano backers, who took Engadget’s selection as yet another seal of approval. By the end of the campaign, Zano was the most-funded Kickstarter project in Europe ever. On 8 January, 12,075 backers had funded it to the tune of £2,335,119. Almost all had chosen a reward level that included a Zano drone with an estimated delivery date of June 2015. Now the hard work of delivering all those pledges would begin. Back in the UK, the Kickstarter funds arrived in Torquing’s bank account on 29 January 2015: £2,094,833 after a 5% commission to Kickstarter and 3–5% to its payment processor. Kickstarter offers no advice on how to cope with such an avalanche of cash, but neither did Torquing request it. The directors decided to route the funds through Torquing Robotics Limited, and sweetened the pot with over £177,000 from Torquing Technology Limited, comprising Crowther and the Busbys’ investments and a little more besides. Web sales of Zano accessories would bring in another £48,281 over the year ahead, and pre-orders promised another £561,794. But there was a catch with this money. PayPal, which processed the vast majority of these web sales (but none of the original Kickstarter pledges), would only release funds to TRL once its pre-orders had been satisfactorily fulfilled. PayPal’s public rules on what it calls “pre-sales” indicate it casts a jaundiced eye on such orders in general, will hold funds for items that can’t be shipped within 20 days, and may require documentation to release money even when products have shipped. It was another incentive for Torquing to hit the ambitious June deadline. Reedman was confident that his design was sound and the technology on track, but he realised that TRL’s artisanal production plans would have to scale up massively. One option the company explored was building its own factory in the Technology Park. If Torquing could arrange the financing for a dedicated manufacturing facility, it would be more cost-effective in the long run than relying on Camtronics. Jones asked Reedman to submit complete business and marketing plans to the full council. “We don’t as a general rule provide significant grants, or loans. But we were prepared to do that for Torquing. The money would have come out of our capital program supporting building roads, schools and houses,” he says. As it happens, PCC never had to choose between education, transportation infrastructure, social housing, and selfie drones. The first phase of Torquing’s assembly facility alone — gutting and refitting a block of growth units at the Technology Park — would have taken 12 to 18 months to complete. This was far too long to help with Torquing’s summer deliveries. In May, Reedman returned to Jones and said that TRL would revert to its original plan of using Camtronics. Meanwhile, TRL was growing fast, snapping up lab equipment, a £29,000 3D printer, high-end Apple Macs, and perhaps a few shiny toys. Rhys Norbury is office administrator at Jellagen, a startup at the Technology Park that produces medical collagen from jellyfish. “We knew that Torquing were a big company, were very fancy, and had a lot of money, mostly based off the fancy BMWs,” he tells me during my visit. Torquing also went on a hiring spree for software, firmware, and hardware engineers, and for administrative staff, marketers, and web developers. Exactly how many employees the company had is difficult to say. Reedman claims that there were up to 28 employees at its height. Documents filed with the liquidators record only 16 employees in mid-November, although some (a handful, according to Reedman) had been laid off earlier in the month. The truth is that Reedman’s technical team was struggling to deliver on his promises. After Reedman added the microSD card reader, he says that he had to change to larger motors, which had a knock-on effect on the Zano’s weight. Reedman spent valuable time reverse-engineering communications from the camera module, while building a user interface for the Android app took much longer than expected. Getting the much-vaunted “follow me” feature to work relied on smartphones’ GPS systems, which proved frustratingly imprecise. That deadline came and went without notice. Then, on 14 April, the printed circuit boards arrived at the Technology Park once more. “The final iteration of ZANOs PCB flight frame arrived yesterday! It was delivered to Camtronics this morning to be loaded,” wrote Crowther the next day. The pilot build was now scheduled for the end of April. A pilot build is traditional in mass manufacturing, as it allows a company to work out production and assembly bugs at a larger scale than one-off prototypes. However, at some point in the early summer, TRL’s directors made the fateful decision to skip a genuine pilot build and head straight into full production. The company would still make a few hundred units initially, but it would also commit to tens of thousands of components, enough to fulfil every Kickstarter reward and pre-order. But bumps in the road kept popping up. In late May, Crowther posted that some of Zano’s plastic parts had been delayed due to a tooling issue. The decision not pursue a pilot build was coming back to bite Torquing. Additions that Reedman made to his initial design, and the fact that some of the plastics supplied were heavier than expected, had ballooned Zano’s weight from 55g as a prototype to 70g in pre-production. With the original propellers, the Zano could now fly for only a couple of minutes between charges — a far cry from the quarter hour that Reedman had promised. A bigger battery could increase flight time, and Reedman told me he was trying to boost the battery size from 750 mAh (milliampere hours, a measurement of discharge capacity over time) to 1,000 or 1,100 mAh before he left Zano. A review of comparable batteries designed for drones (from makers and third-party replacements) finds even custom-fit modules would weigh at least 30g for 1,000 mAh, seemingly impractical without further design changes. His solution at the time was to send back the original propellers for larger ones. However, says Reedman, “As far as [the Chinese supplier] was concerned, the propellers did work so therefore are not faulty and would not accept returns.” Torquing was left having paid for tens of thousands of propellers it could not use. TRL quickly ordered new, oversized propellers. But these had their own issues. The quadcopter blades were now so large that they were within a hair’s-breadth of touching each other. More seriously, they also flexed slightly when in motion. Any tiny variation in production could cause problems. Craig Holloway, who owned a set of each kind of propeller, says that the larger blades would occasionally clip the drone’s plastic frame and each other. Although the June deadline was now long past, some progress had been made. On 19 June, Ivan posted that the HPC supercomputer was 95% built and configured, with a fast 1 gigabit-per-second optical fibre connection. “A little more work and testing [and] this will be ready before the end of June,” he wrote. (Torquing’s “My Zano” online service to process, store, and share Zano owners’ videos never went live). By 22 July, Reedman says that the drone had passed basic regulatory compliance tests, and Crowther felt confident enough to post that the first 2,000 Zanos would ship in early August, with all the remaining Kickstarter rewards following by the first week in September. Late — but not that late, especially by the standards of Kickstarter hardware campaigns in general, and large ones in particular. Throughout the summer, Torquing had faced a constant barrage of questions, and, increasingly, criticism from backers eager to take delivery of their drones. “I didn’t think people would be that aggressive and nasty,” says Reedman. “I sort of learned to toughen my skin up a bit and not pay as much attention to it.” But by the start of August, Reedman says that he was suffering chest pain and having trouble sleeping. “[The doctor] said, you are just very, very stressed. You need to take time off,” he says. The simplest way for Torquing to get more money would be to deliver the first Zano drones to pre-order customers. This would release hundreds of thousands of pounds that PayPal had been sitting on for months. The first bulk deliveries of Zano, about 600 in all, began leaving Pembroke Dock on 24 September. Almost all were destined for pre-order customers, a move that angered many Kickstarter backers. A couple of backers, including Craig Holloway and Doug Conran, decided to do something about it. They contacted individuals within the company and pled for their Zanos. In early October, Holloway and his family were invited out to the Technology Park. “Ivan gave us a bit of a tour,” says Holloway. “We were down there for probably three quarters of an hour, seeing all the products, all the various builds, and the software development guys.” Before Holloway left, he was given a Zano — although he couldn’t try it until the drone’s Android app was finally released the following week. On 13 October, Ivan posted a Kickstarter update that blamed the problems variously on over-sensitive infrared sensors, manufacturing issues, propeller vibrations, and even drone owners’ smartphones. He announced that Torquing would release a software calibration tool to let owners address some of these at home. The very next day, Reedman says the company suffered a problem with its internet connection, bringing down the supercomputer, grounding all Zanos, and taking Torquing’s official forums offline. If only that were true. Holloway returned twice to the Technology Park in an effort to get his Zano up and flying properly. On the second occasion, on 30 October, Reedman personally downloaded the latest firmware onto Holloway’s drone and ran his new calibration tool. But the success was short-lived. The drone did not function as well when controlled by a different smartphone, the calibration software would not work on Holloway’s computer, and when he switched to a glow-in-the-dark Zano frame that he had paid extra for, the drone began bunny-hopping once more. None of the more advanced features — selfie videos, follow me, swarming, social media integration, or facial recognition — were ever operational. Holloway’s drone, hand-delivered to him at launch, updated to the latest software, and fine-tuned personally by the company’s founder, was probably the best Zano in the world. And yet it still lacked the features and reliability of many cheap toy quadcopters from China. Seeing it sitting on a pub table in Swansea, I caught a glimpse of the drone Reedman was trying to build. Its plastic case was well-engineered, the infrared sensors gave a nice futuristic touch, and the spare batteries and accessories felt solid. I could see the care and attention that had gone into its design: this was not an out-and-out scam. So as it pathetically blinked its red LEDs in an attempt to connect to an iPhone app that never existed and servers that were turned off, it wasn’t difficult to imagine just how disappointed those first owners would have felt. Its demise was rapid. On 13 November, the remaining directors voted to wind up the Torquing companies. On the evening of 16 November, Phil Busby met with a liquidator in Swansea, Gary Stones, then signed all the necessary paperwork the next morning. On 20 November, Stones sent out a notice of liquidation, and three days later, Kickstarter sent a private letter to backers announcing that it was banning Zano’s creators from future projects. Up until the very last minute, many backers still believed that they would eventually receive their reward drones. Some vented their spleen online, and a few even lashed out at Gary Stones. That would have been on 4 December, when the one and only creditor’s meeting took place at Stones’ Swansea premises. No protesters showed up. A Statement of Affairs is a bit like a black box flight recorder. It can give you a good idea of what was happening at the precise moment of impact, but has little to say about how smooth or bumpy the ride was to get there. Only the companies’ audited accounts, which were not available to me, would show every penny coming in or going out over the preceding year. Nevertheless, these documents, along with a single-sheet profit and loss account from TRL given to me by Gary Stones, are the most objective source of financial information about the rise and fall of the Torquing companies. I have rounded some of the figures below for clarity. Let’s start with Torquing Technology Limited (TTL). It seems that this was Reedman’s primary company for the development work on the Sparrow drone with BCB International. Its gross revenue decreased from a high of over £80,000 in 2012 to £19,000 in 2014, probably representing the last of the BCB monies. But the company still had “administrative expenses” of nearly £69,000 in 2014, the nature of which are unclear. TTL owns the Sparrow patent (jointly with Barry Davies), and leased a Volkswagen Tiguan compact SUV, for which it still owes around £2,500. Torquing Group Limited (TGL) had a similarly low turnover — just £15,600 in 2014. While its expenses of £45,000 were less than TTL, it appears from the creditors list that TTL was responsible for paying for the entire group’s utilities, rent, waste disposal, lawyers, and accountants. TGL also owed £10,800 on the lease of two VW Golf cars, and £16,800 on the lease of a colour photocopier and “various Apple computer equipment”. The trading accounts of Torquing Robotics Limited (TRL) are the most relevant to Zano. These run from December 2014 to November 2015, covering the full Kickstarter period. During that time, TRL earned £2,424,688 from product sales, and spent £1,556,628 on purchases. This would include all stock as well as any tools or machinery for design and assembly. Expenses and overheads swallowed up another £1,103,581. It’s worth drilling down into these figures. Labour and wages accounted for nearly £540,000. If TGL did in fact have 30 employees, that would be an average salary of £18,000 — low even for rural Wales. Twenty staff would average to £27,000 each. A combined total for rent, rates, heat, light, and power of just £1,620 implies that TTL did, in fact, pick up most of these bills, while £3,500 for motor expenses, £11,300 for travelling, and even £51,000 for phone and computer charges are all plausible. Several lines in the accounts do jump out, however. A “general expenses” figure of £186,293 could hide all manner of things, while professional fees of over £220,000 might be typical of a larger company. Reedman can shed no light on these. “I can’t think of anything. Fees relating to contractors [I] suspect would be under different areas,” he says. Some valuable assets do remain. Unfinished stock that cost around £1m to buy remains at Camtronics’ facility in Tredegar. Camtronics claims that the chips and components belong to them, to offset unpaid invoices and consequential losses as a result of buying machinery to build the Zano. There is also the matter of the unpaid monies sitting in PayPal’s bank accounts: Around £200,000 but shrinking all the time as pre-order customers request refunds. Gary Stones is considering legal action to recover some or all of both. My editor Glenn subsequently explored the PayPal issue in more detail here, as some pre-order customers are currently in a Catch 22 situation of having had neither a drone (working or otherwise) nor a refund. Incredibly, it seems that their funds may now end up in the pocket of the liquidator or trade creditors rather than being returned to them. Stones’ expenses in liquidating the business will likely swallow up all of the money from selling off Torquing’s intellectual property, lab equipment, and office supplies. If there are funds left over, the UK government will seize a slice for unpaid tax and social security contributions, leaving no more than pennies on the pound for trade creditors. The position of Kickstarter backers is murky. Without an actual sales contract, they may not legally be considered creditors and thus have virtually no chance of them receiving anything. As Kickstarter itself likes to say, Kickstarter is not a store. At liquidation, the three Torquing companies had a total deficiency (debts over assets) of £1,262,608. Even had Reedman stayed in his post and all the Kickstarter rewards and pre-orders shipped successfully, with not a single one returned for a refund, Torquing would have been facing a deficit of nearly a million pounds. This is almost certainly true. But it raises the question of whether an extra week, month, or even a year would have resulted in a Zano capable of anything close to what was originally promised. On two occasions, Reedman had been given virtual free rein to build an autonomous Wi-Fi drone. Both times, and even with millions at his disposal, his achievements fell significantly short of his vision. The truth seems to be that almost everyone at Torquing was out of their depth. It turns out that building a competitive, multinational consumer product company is difficult, and that making a niche-market widget for truckers does little to prepare you for developing, producing, and marketing an innovative drone. Torquing’s directors managed their business poorly and spent the Kickstarter money too freely, but I’ve found no evidence that any of them ended up rich on the backs of the crowd. The fancy leased cars and rented computers have been returned. Ivan Reedman lost his company, his reputation, and his tools, and is currently looking for work. Phil Busby jeopardised his other businesses in a failed attempt to prop up TRL, and (according to one person at the Technology Park) has had to lay off several people from those. The other directors, Anna Reedman, Thomas Dietrich, and Reece Crowther, will never see a penny of their investments again. The story doesn’t end here, however. A failure of this magnitude makes people sit up and take notice. Although the liquidation is likely to rumble on for months, Vernon Kerswell noticed a change almost immediately in interactions with his backers and the business community. “Zano… affected lots of people [and] it’s really put the heat on us. People have got their knives out now,” he says. Many of the backers that got in touch with me, even ones who had previously lost money in unsuccessful crowdfunding projects, say that their experiences with Zano soured them on Kickstarter itself and crowdfunding in general. There remains a possibility of criminal prosecutions. The Trading Standards division of Pembrokeshire County Council (which falls, ironically, under Steven Jones’ purview) opened an investigation into Torquing Robotics in October, shortly after the first Zanos were shipped out. So far, it has received over 250 complaints from owners around the world that the drone did not match the description on the original Kickstarter page, and in particular the promotional video. Council investigators I spoke to believe that while crowdfunding backers might not legally be considered creditors, they do count as consumers under UK trading regulations. Trading Standards hopes to conclude its investigation by April 2016. Beyond Torquing itself, what lessons can be learned from the collapse of the Zano project? Inevitably, much of the discussion focuses on Kickstarter’s role in the affair. Could the crowdfunding platform have done anything to avoid such a monumental failure, or even prevent such a dubious project from funding in the first place? Just before Christmas, I had a long phone conversation with Yancey Strickler, co-founder and CEO of Kickstarter. I put it to him that many Zano backers I had heard from felt that Kickstarter had no skin in the game, that it was content to bank its 5% fee whether projects succeeded or failed. Strickler points to concerns raised about the feasibility of a laser-powered razor called Skarp, leading Kickstarter to remove it from the site after it had raised over $4m (but before it had funded). “That’s like a quarter of a million dollars that we said, OK, we will not collect on this because we think there are issues there,” says Strickler. Skarp, incidentally, went on to successfully raise $450,000 on Indiegogo, which has fewer rules and restrictions. How about when a project massively overfunds, as with Zano? Strickler admits that there are no special procedures for that, but mentions a new “creator-only knowledge sharing space” called Campus that is meant to help newly funded creators find their feet. Strickler also rejects suggestions from backers for shipping fees and even Kickstarter’s 5% commission to be placed in an escrow fund and refunded to them if a project fails to deliver. His final statement might sound hyperbolic, but Strickler does make some good points. If we as a society value the benefits of crowdfunding — supporting projects that might not otherwise happen, feeling a tangible part of something we believe in, and possibly, just possibly, getting something cool at the end — then we have to be prepared to assume some risk. In December, Kickstarter published research from Professor Ethan Mollick from the Wharton School of the University of Pennsylvania. Mollick surveyed over 47,000 backers of over 65,000 projects successfully funded on Kickstarter. He found that 9% of projects failed to deliver awards, and that failure rates for hardware projects were not significantly higher than other categories. That might sound harsh to the over 12,000 backers of Zano; it certainly sounds harsh to me. But if crowdfunding is going to have a future in the mainstream, beyond toys, gadgets and GarageBand albums, the crowd will need to grow and mature along with it. UK market analyst firm Juniper Research predicts that that investments made in technology via crowdfunding platforms will increase sevenfold from an estimated $1.1 billion last year to $8.2 billion by 2020. If we want a democratic, open, freely accessible alternative to banks and venture capitalists, then we will have to accept occasional failures like Zano along with runaway successes like Pebble, Oculus Rift, and Veronica Mars. I think we can do better than we are right now. For what it’s worth, and as requested by Kickstarter, here a few observations and suggestions from my time looking into Zano. Creators should go in the crowdfunding process with as few illusions as possible. I would urge them to be as objective as possible about their project, to seek expert advice from outside their bubble, and above all to be as honest and transparent about their failures as they are celebratory with their successes. Also, avoid relying exclusively on the technical abilities of a single person. Crowdfunding platforms can do more. If they are serious about not being considered stores, they should resist the temptation to mimic retail websites. One glance at the home pages of Amazon, Kickstarter, and Indiegogo is enough to see why a first-time backer might be confused. Project pages should explicitly state that Kickstarter has not seen, nor cares to see, product prototypes, and that Top Picks or Project We Love badges come with no endorsement. External support and advice is invaluable. Once funded, platforms could automatically assign every creator a mentor from a project in the same category that had already delivered rewards. There are now tens of thousands of such projects across the platforms. Mentors would be volunteers at first, but after one or two iterations, this would hopefully become an accepted and valued part of the fabric of crowdfunding, and organically build into a supportive community. High value and massively overfunded projects require special attention. Platforms should recognise the difficulties inherent in manufacturing physical items, and in dealing with tens of thousands of backers. That could mean managing the funding process, requiring projects to hire external experts, or even automatically pushing estimated delivery dates out into the future for rewards in batches as orders increase — something the site Crowd Supply already builds into its process. Kickstarter and others could also impose review requirements on videos and specifications once a threshold of, say, $1m, is passed. This might have revealed the problems with Zano’s promotion, and required it to be re-edited or demonstrate through raw footage that no simulations or CGI was used. Journalists need to bring the same scepticism to crowdfunding they do to established companies that announce products long before they ship (known as vaporware), without the proven capability or any apparent rush to bring it to market. The crowd itself needs to step up. Potential backers should do more to educate themselves and each other. While unbridled enthusiasm is always welcome, the most useful thing backers can bring to any project is helpful, thoughtful criticism. And before anyone hits a button to Back This Project, they need to remember that pledges are at best a gamble and just as likely an outright donation. Finally, crowds are great but mobs are not. Having ten thousand people actively following your every move can be overwhelming even when things are going well. Rants, accusations, and personal threats are hurtful and invariably counterproductive. The Zano story still has a host of loose ends. A better picture of the personal and professional inter-relationships of the Torquing directors could do much to explain why the company made what were, in hindsight, truly terrible business decisions. I wish I had uncovered more concrete details of the Torquing companies’ financial dealings, although more information could emerge once the liquidation process is complete. I also have my fingers crossed that Pembrokeshire Trading Standards will get to the bottom of the, I believe, quite misleading Kickstarter video. I would very much like to have talked properly to the other Torquing directors, in particular Reece Crowther and the Busbys. This very nearly happened. As I was sitting in the car park of the Bridge Innovation Centre, having knocked on every door in the growth units and fruitlessly peered at empty Apple Mac boxes through the dusty window of Torquing’s, I heard a tap on the door of my rented Ford Focus. It was Phil Busby (junior) himself, who had seen me nosing around. He explained that he did not want me to think that he was avoiding me because he had anything to hide. Although he declined to be interviewed or quoted on the record, Busby was insistent that he had done nothing wrong. He gave the impression that he might be more forthcoming after the Torquing companies had gone through liquidation, and the Trading Standards investigation was over. I do hope so. More wishful thinking perhaps. But if you are one of the “lucky” few ever to receive a Zano, you might not want to recycle it just yet. Mühlhölzl has acquired from the liquidator a number of plastic Zano clamshell cases to use as packaging for the game. If all goes well, he plans to launch it, on Kickstarter of course, in the next couple of weeks. How many backers, I wonder, are ready to crowdfund another Zano? I can only apologise for the extreme length of this report. While no magazine or newspaper would have allowed me go into so much detail, I think Zano’s backers deserve the fullest possible picture of events. I hope that it remains readable and interesting, and that the minutiae of propeller plastics and inter-company loans were not too tedious. If you couldn’t make it all the way through, I don’t blame you. Here’s a brief and partial summary. Ivan Reedman’s Torquing brand traded variously as an IT consultancy, golfing tour operator, and software developer. The only product any of these enterprises made that I could identify as reaching the market is a wireless device that controls raising and lower trailer legs. Torquing’s previous drone development work, a military surveillance quadcopter, was not completed to the satisfaction of its client. The drone never flew properly and did not enter production. In the spring 2014, Reedman received private investment of around £150,000 to develop a palm-sized consumer drone called the Zano. There is convincing evidence that the Kickstarter campaign video, released in November 2014, was misleading as to the existing capabilities and readiness level of the Zano. The reason that the Zano was not shown flying at the CES trade show in January 2015 is that it was not capable of performing adequately. The massive success of the Kickstarter campaign (20 times Torquing’s target) caused enormous difficulties for the Zano team, obliging them to develop additional features, as well as scale up communications and production by an order of magnitude. Torquing directors may have awarded themselves higher salaries than necessary and spent money on superfluous items like cars, but there is no sign of sustained extravagance or criminal fraud. Torquing did mount a serious, well-intentioned attempt to develop, manufacture, and deliver an intelligent autonomous consumer drone along the lines of their promises in the Kickstarter campaign. A seemingly dedicated staff couldn’t, in any case, meet the over-ambitious deadlines and specifications. Torquing directors made a series of serious errors in committing the business to extremely high levels of stock in the absence of proven production models, or even fully functional prototypes. Communications from the project creators to backers were, on the whole, regular and fairly honest. However, they were also incomplete, overconfident, and reflected a dangerous lack of self-awareness of the problems the company was making for itself. Financial pressures led the creators to ship Zano units that they knew were not ready, and additionally to favour pre-order customers in the hope of receiving additional revenues. The resignation of Ivan Reedman was the immediate cause of the directors of Torquing seeking liquidation, but the business was already on its last legs, with a shortfall of over £1m. The liquidation is proceeding in a professional manner, but is unlikely to result in any refund, however small, to any Kickstarter backer. Personally, I do not believe that the creators possessed the technical or commercial competencies necessary to deliver the Zano as specified in the original campaign. Kickstarter, and other crowdfunding platforms, should reconsider the way that they deal with projects involving complex hardware, massive overfunding, or large sums of money. There should be better mechanisms to identify weak projects before they fund, as well as new processes to provide mentorship, support and expert advice to newly-funded projects. If you would like to respond to the article publicly, highlight the relevant copy and choose the speech bubble Response icon. I will do my best to reply. For further comments or queries, I can be reached at zano@meharris.com or on Twitter @meharris. A note on editing: Journalist and editor Glenn Fleishman was contracted by me to edit this article, and worked solely with me to that end. I paid him directly. Glenn’s note and disclosure may be read in a separate post.